A PERFECT VENUE IN THE BUFFALO, NY AREA FOR WEDDING RECEPTIONS! When you share your wedding with J’s White Elephant, you’ll discover that we’re right there with you – ready to make your dreams coming true. Thanks to our years of experience, we have tailored a number of different event catering packages to suit every budget. We will work closely with you to help design your dream wedding reception. Contact us today to get started! 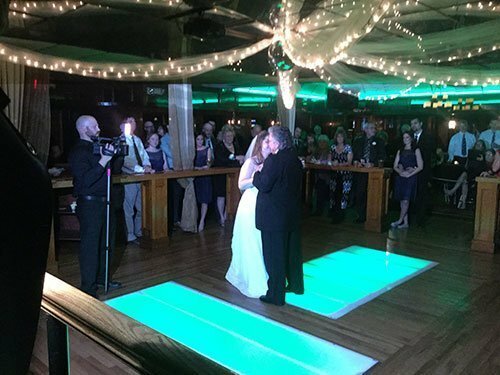 With guests of 135 or more, you have the option to utilize the entire venue where your guests will delight in the transformation of the romantic wedding reception setting in the Royal Room and then on to a vibrant evening full of music, dancing, and cocktails in the lounge area. Our event catering menu offers a wide variety of items to select from. We offer a comprehensive menu with delectable food choices that can be served either buffet or family style. Once your date is booked, we’ll work with you to discuss menu selections and beverage options. Call us today for more information!